Palin had collected nearly $17,000 in per diem payments before she was named to the Republican ticket. JUNEAU, Alaska – Gov. Sarah Palin must pay back taxes on nearly $18,000 in expenses she charged the state for living in her home outside Anchorage instead of at the state capital, officials said Wednesday. A review of state policy and Internal Revenue Service tax laws determined the per diem payments should be treated as income, Department of Administration Commissioner Annette Kreitzer said. The charges came to light after Palin was named John McCain's running mate on the Republican presidential ticket in August and became a campaign issue after she was presented to the nation as a fiscal conservative. "These issues were raised during the national campaign and as result of the national campaign the governor asked us to look into this," Kreitzer said. Palin had collected nearly $17,000 in per diem payments before she was named to the Republican ticket. The expenses were paid for more than 300 nights she slept at her home in the Anchorage suburb of Wasilla and commuted 40 miles to her Anchorage office instead of living in the governor's mansion in Juneau, the state capital. The practice started up again shortly after last fall's general election. Juneau, in the Alaska Panhandle 600 miles from Wasilla, is only accessible by airplane or ship. Palin's spokesman, Bill McAllister, said Wednesday he didn't know if Palin was still collecting per diem or if she would continue to do so. McAllister said her taxes are a personal matter and wouldn't disclose how much she owes. However, he said Palin would pay the amount required. Palin returned to work on Nov. 7 — three days after McCain's loss to Barack Obama in the general election. From then until Dec. 14 — the last date for which records were available — she continued to charge the state for meals and incidentals, amounting to $1,168, an Associated Press review of records show. The state released Palin's expenses for the first two weeks of December on Wednesday. She requested the full $60 a day for all but three of the 19 per diem requests. For example, on Nov. 14 when she attended a formal dinner celebrating the state's 50th anniversary, she requested $28 that day, which covered breakfast and lunch only. Per diem payments are intended to cover meals and incidental expenses while traveling on state business. 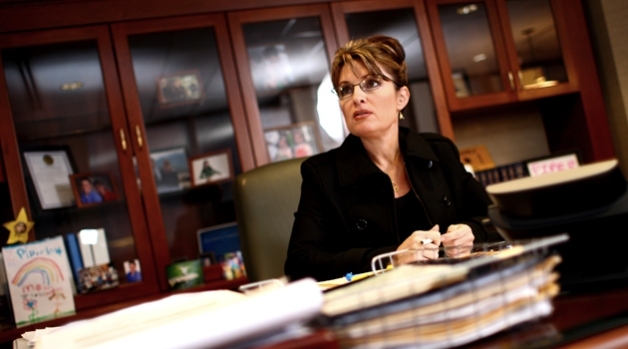 State officials have said Palin's claims were permitted because her "duty station" is Juneau. Palin also previously charged the state for having her children travel with her — amounting to $21,012 for her three daughters' 64 one-way and 12 round-trip commercial flights since she took office through last fall. She also charged for hotel rooms for the girls in some cases. Her office has claimed the girls were acting on state business, and Kreitzer said the state did not review the matter. "That is a decision that has been made for many years by the governor's administrative services section and the governor's office essentially as to what constitutes business travel. My understanding is that all of the travel that's been paid for the family has been for a business purpose," Kreitzer said. In some cases, event organizers said they were surprised when the Palin children showed up uninvited. Kreitzer said the ruling also affects other state employees.